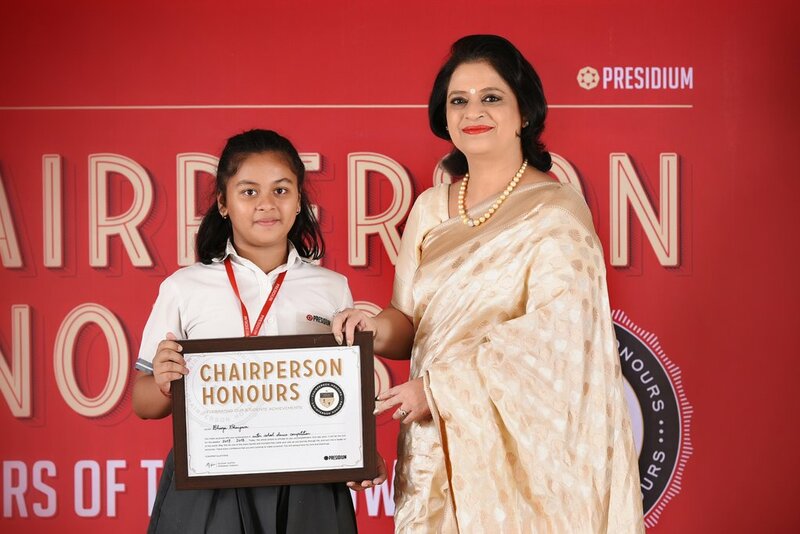 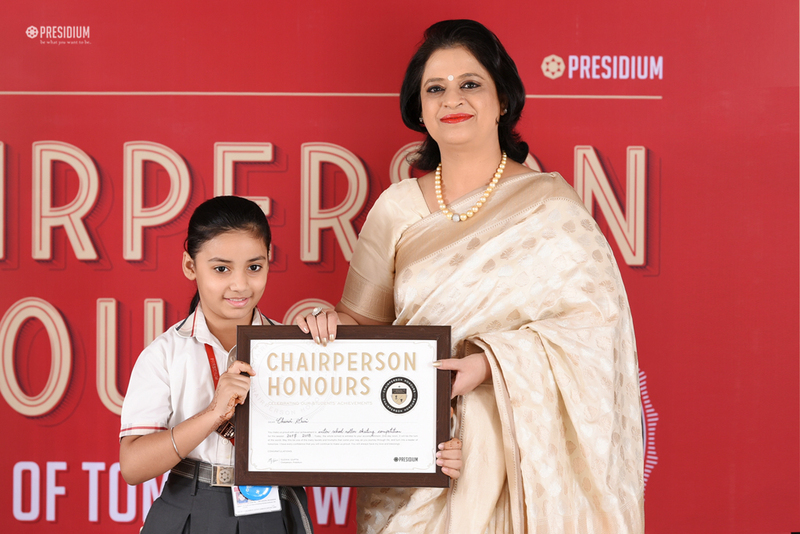 At Presidium, we believe in raising a generation of young achievers by giving them the wings to dream and appreciating their hardwork and passion time to time. 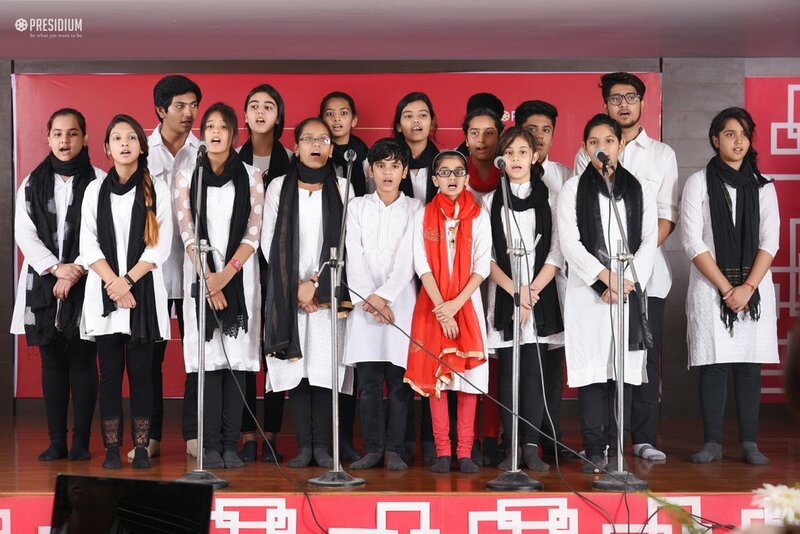 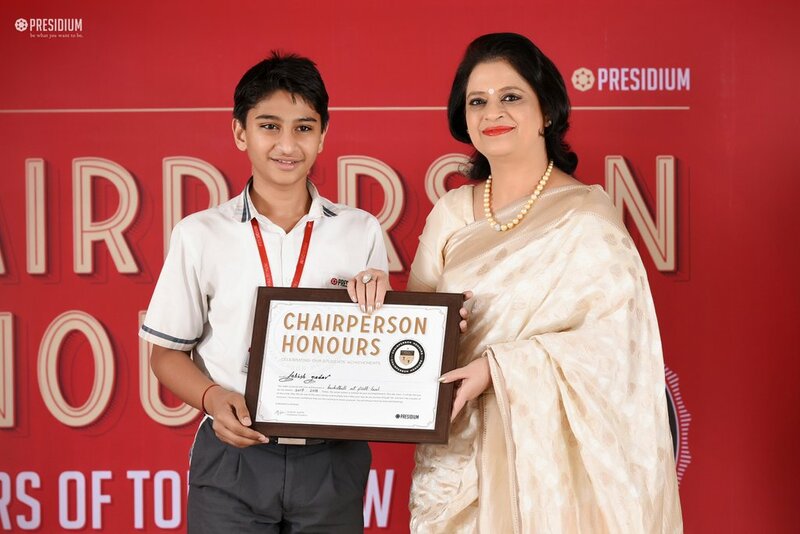 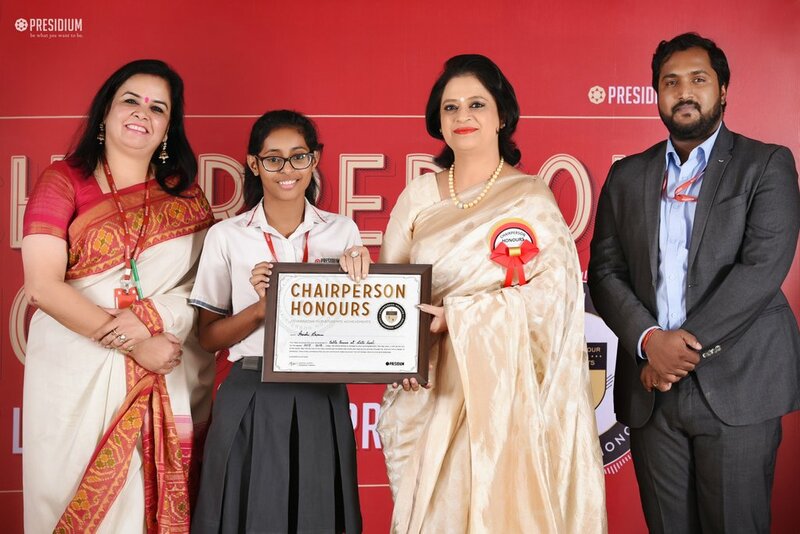 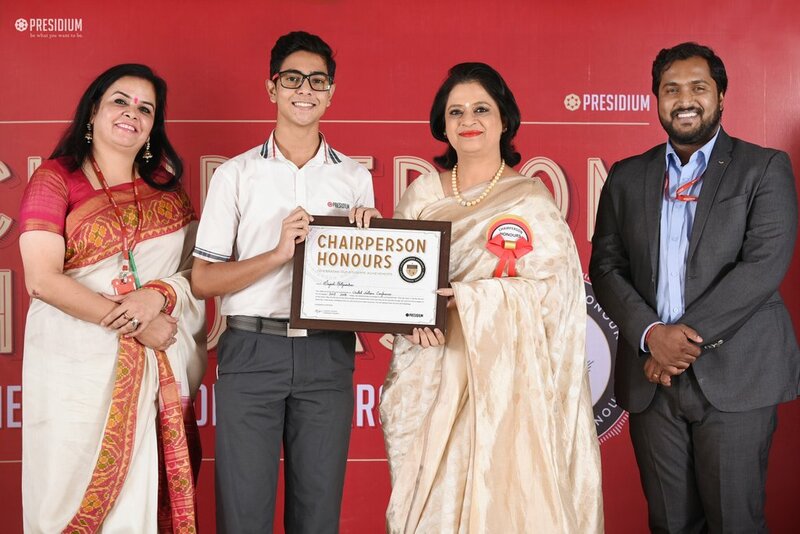 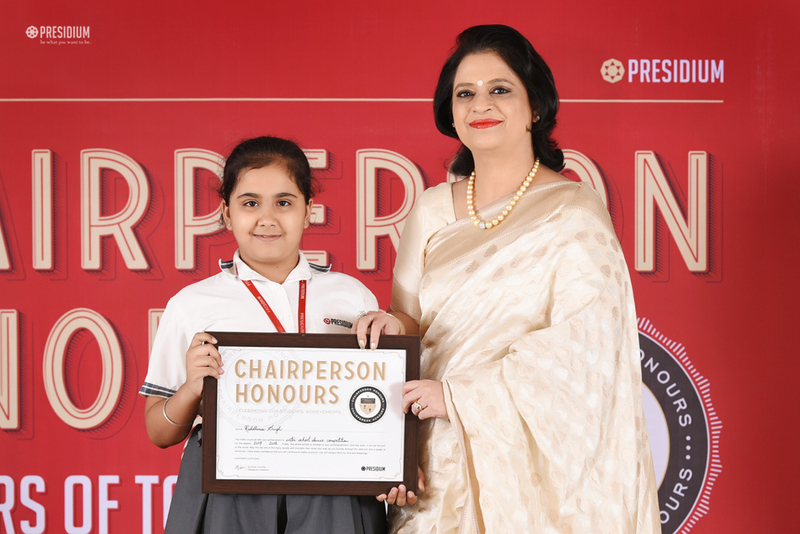 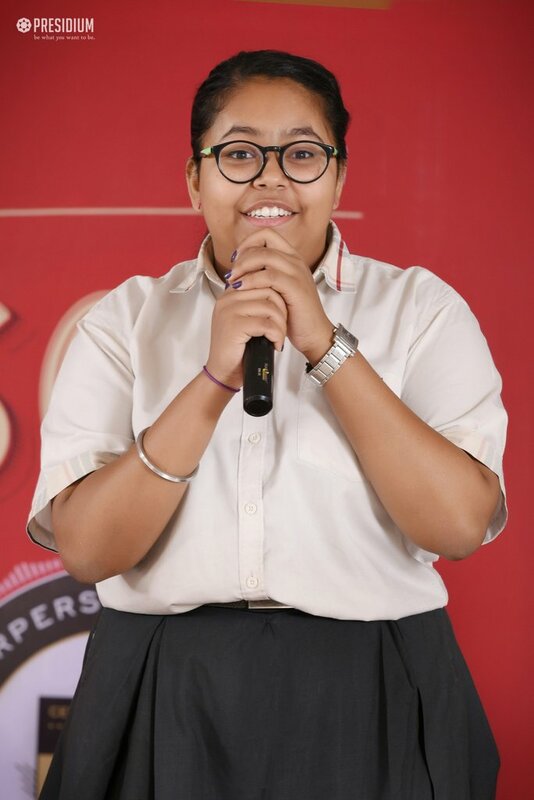 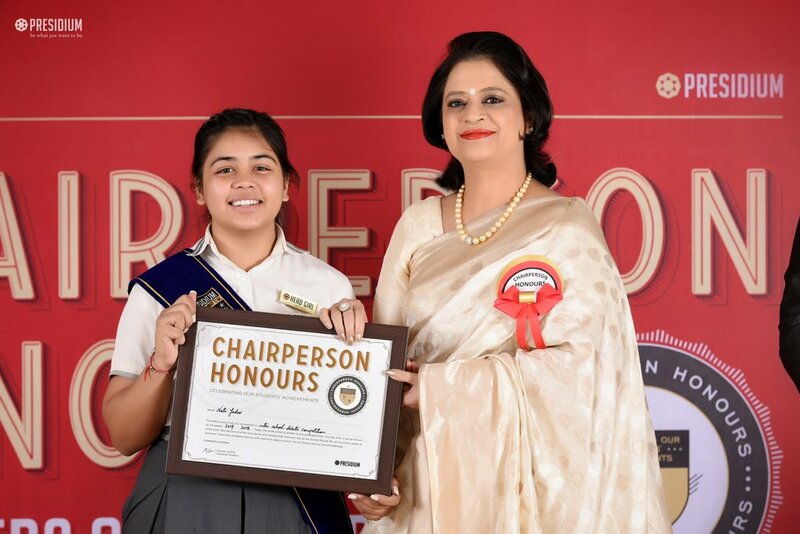 To recognize the Presidians of Gurgaon for their extraordinary achievements in academics, sports and co-curricular activities, a grand ceremony - the CHAIRPERSON HONOURS was recently organized. 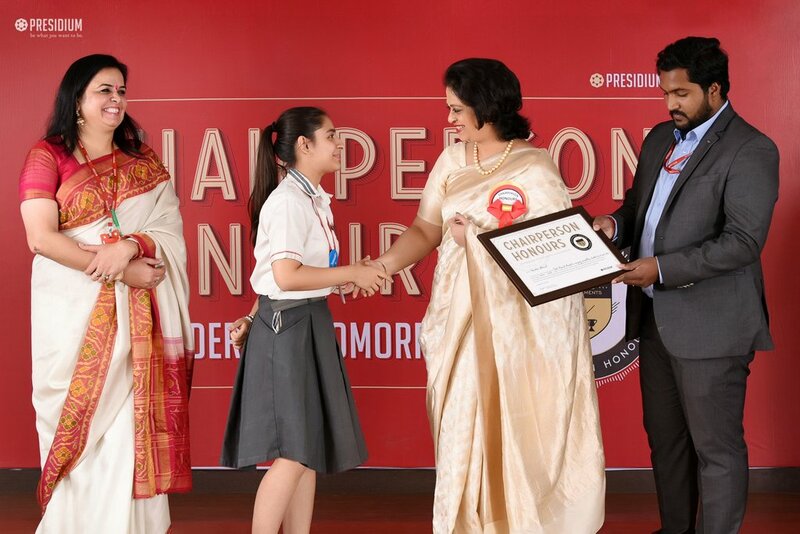 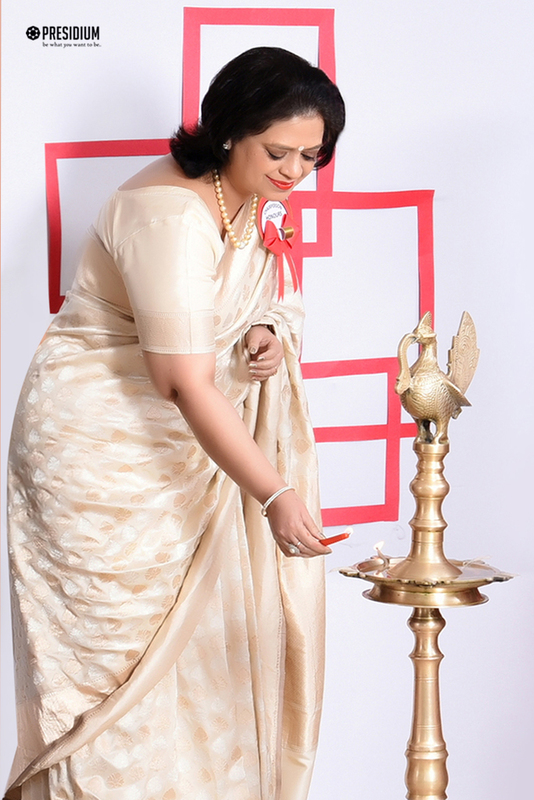 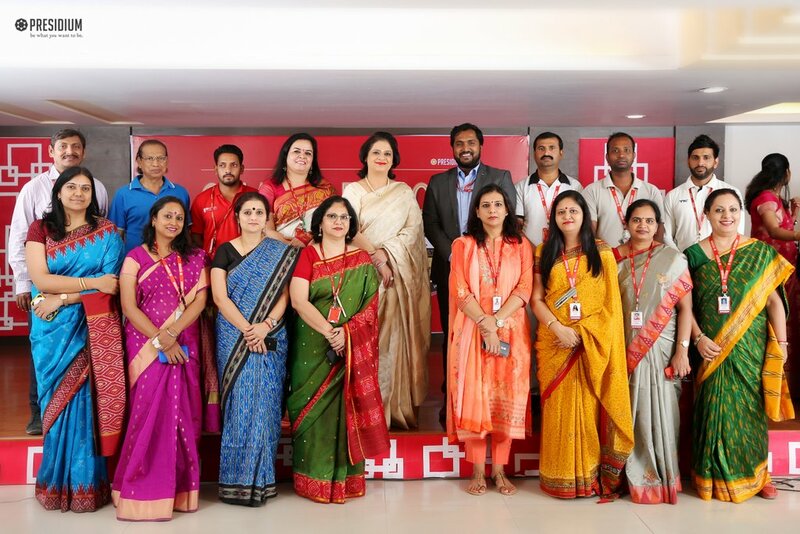 Graced by Mrs. Sudha Gupta, the honorable Chairperson of Presidium, the ceremony congratulated more than 700 young scholars with certificates of recognition. 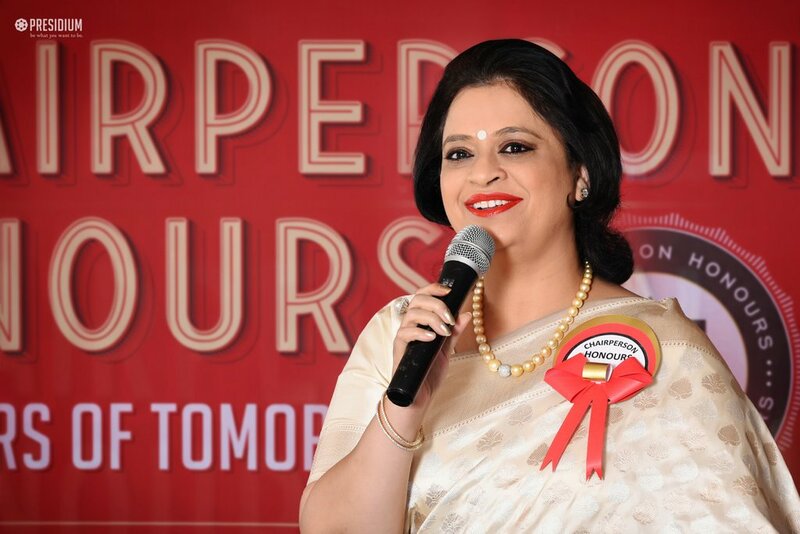 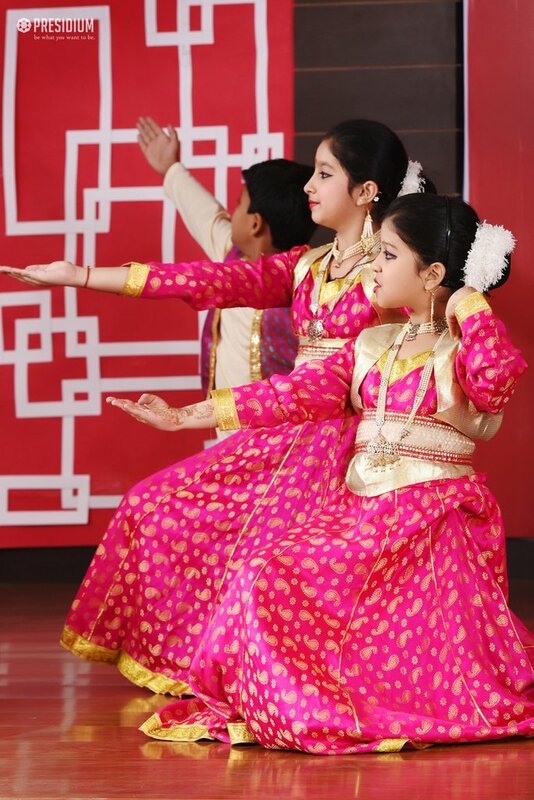 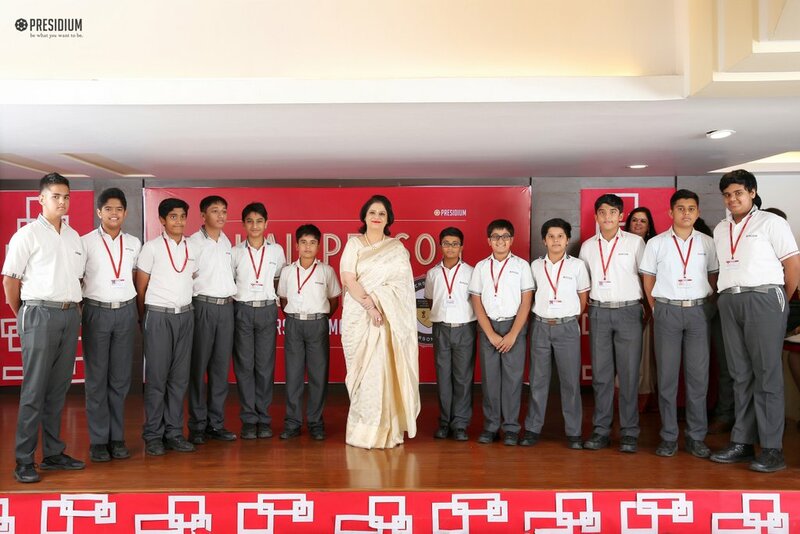 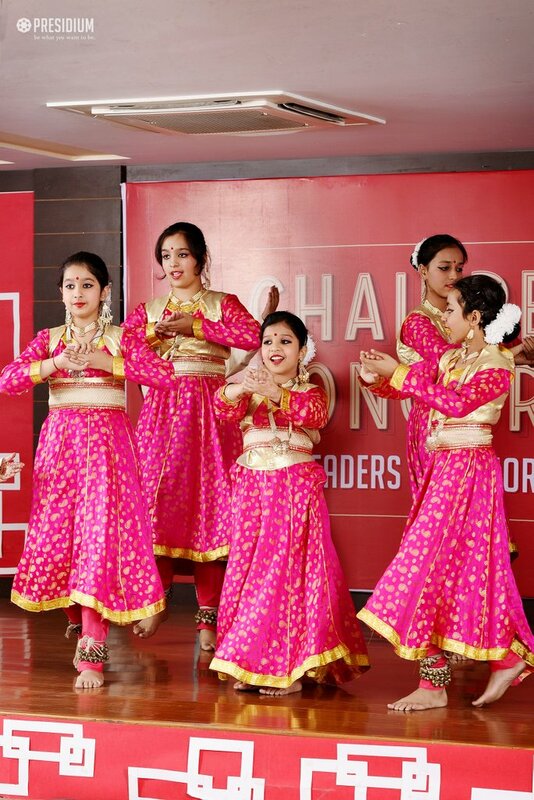 Offering such a majestic honour to our 'leaders of tomorrow', the event built their confidence and strengthened their determination to achieve more in life. 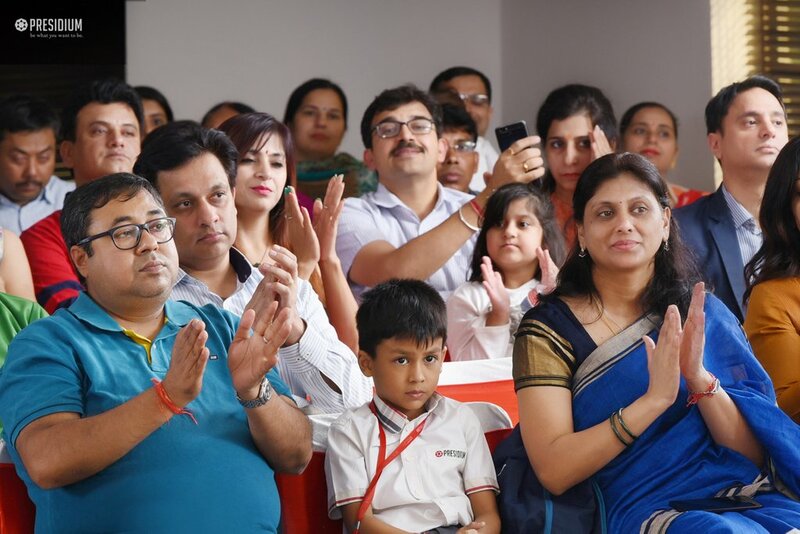 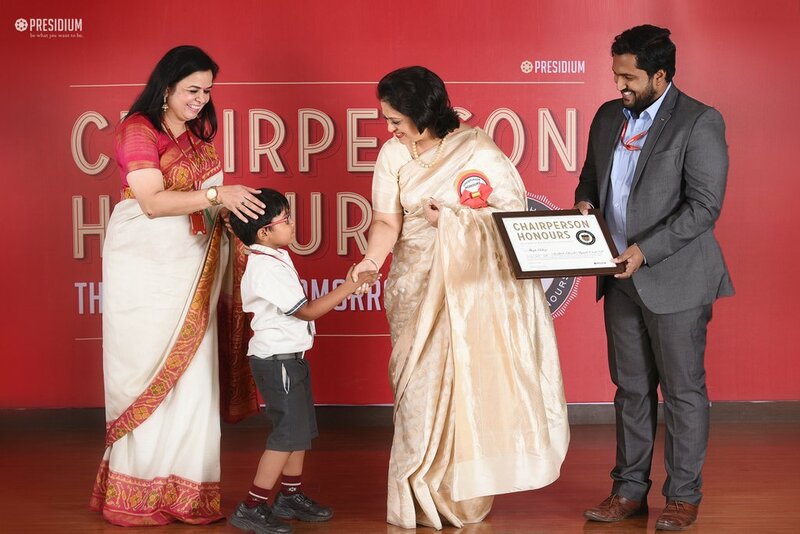 Packed with overwhelm and excitement to see their young lads being appreciated for their year-around uphill struggle, the parents relished every moment of this unforgettable experience.